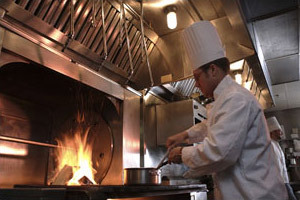 In today’s commercial kitchens, fire is a constant threat. Global Fire & Safety understands that an accidental or real discharge of a Kitchen Fire Suppression System could devastate your business. The new UL 300 standard states “that all systems manufactured after 1994 must comply with this standard”. The main reason behind this new standard is the increased commercial cooking times and temperatures that are now being utilized. It is increasingly important to ensure that your service provider is qualified and certified to identify if your system is compliant with the new requirement and if your system is not, to assist you in bringing your system into compliance. Our Certified and Qualified Technicians will coordinate their inspections and test times to ensure that there is as little disruption as possible to you or your staff. We will visually and functionally (where required) test a wide array of mechanical features, including heat detector threshold, time delay, alarm activation, automatic fuel and power cut-off, tank and line pressure and nozzle direction. 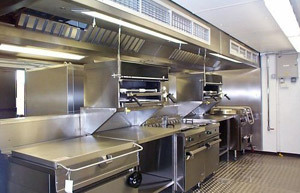 We will also check that no reconfiguration or alteration of your appliance layout occurred, check for grease build-up on detectors and nozzles and also make sure that your Kitchen Fire Suppression System meets corporate standards, insurance requirements, and any Federal, State or Local requirements as well. Let Global Fire & Safety’s “Total Service Solution” work for you, so you can spend time doing what you do best, running your business.